The nation’s largest nonbank mortgage lender is going to the Super Bowl. Well, they’re not playing in the game, but they did purchase a very expensive one-minute ad slot. Apparently a 30-second advertisement for Super Bowl 50 runs at around $5 million, so perhaps Quicken paid somewhere near $10 million for the honor. Hopefully it works out for them. The price of a 30-second spot is up from $4.5 million last year and has reportedly increased 75% between 2005 and 2014 alone. I suppose it makes sense because some 114 million watched last year’s game and you can only expect that number to rise this year thanks to a final that features aging quarterback Peyton Manning and red hot Carolina. Oh, and the fact that Super Bowl commercials get all types of airplay online before and after the game, instead of only featuring once during the game. If you can get your ad to go viral you can boost the value of it tremendously. It’s actually Quicken’s first ever Super Bowl ad, and comes at a time when they’re attempting to reinvent the cumbersome mortgage process via their Rocket Mortgage approach. The one-minute ad, which you can already watch here (now taken down), plays into the idea that if it were easier to buy a home (thanks to obtaining a mortgage more easily), more people would buy homes and fill them with stuff, which would spur the economy and make everyone a winner. It definitely goes for the emotionally uplifting angle, though with a heavy dose of humor sprinkled in for good measure. The ad features the lender’s app prominently, showing folks applying for mortgages on their phones while at the workplace or at a magic show. The idea being the ease at which one can get a mortgage these days. At least, that’s the hope with Rocket Mortgage. Whether that becomes a reality remains to be seen, but one thing is clear, mortgages are finally getting a much needed technology upgrade. And perhaps Quicken will win over customers looking for convenience over savings. That $10 million or so price tag has to come from somewhere, not to mention the production costs involved with Rocket Mortgage, so it could mean a higher mortgage rate unless Quicken is able to cut costs elsewhere. By the way, Quicken is running another promotion tied to this ad where you can win $100,000 to pay off your mortgage, or a variety of other prizes, including household products featured in the commercial. Does a Mortgage Need to Be Rushed? Fun and games aside, you have to wonder if the mortgage actually needs to be rushed. Should you really be applying for a mortgage while at work? Or while out to dinner? This era of instant gratification is making us all very impatient, but certain things should take a little bit more time. For many, a mortgage is a major “purchase” and one that shouldn’t be approached with haste. One should be focused and prepared before and during the application process. You’re not ordering a pizza. If you can close your mortgage faster, that’s great. 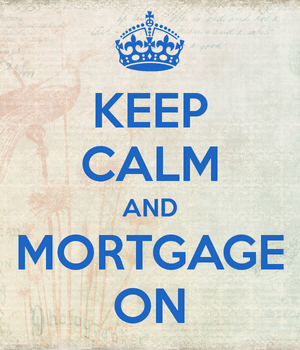 But what’s another week if you can get a lower rate, or close the loan with fewer costs. You’ll probably be paying it back for a decade or longer, maybe even 30 years, so a little more consideration may be required. Oh, and you still need to qualify. The app won’t magically change that fact. I agree that the mortgage industry needs improvement, but I think homeowners should still take their time and do their research, even if obtaining a mortgage becomes an overnight endeavor eventually. Don’t be one of those borrowers that only obtains a single quote before moving forward. Put in some real time, do the research, realize the decision you make today will affect your wallet for many years to come. Someones math is off on this one. If it cost $5 million for a 30 second spot… How could it cost $1 million for a one minute spot. If your math is correct, Quicken just beat the competition and got great odds at the Super Bowl. Thanks for reminding me to add a very important zero!